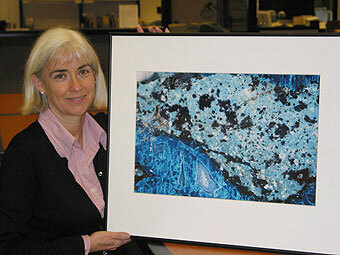 UCSC has received a $500,000 gift to benefit Special Collections in the University Library. The endowment will be established in honor of the late Miller and Bunny Outcalt and their lifelong partnership in the field of photography. Proceeds will be used to fund a permanent staff position dedicated to work on the extensive photography archives housed at UCSC. The University Librarys Special Collections has built up an exceptionally strong body of work by many of the regions most distinguished photographers, including Edward Weston, Morley Baer, Pirkle Jones, and Al Weber. The UCSC collection is distinctive in its close ties to an active academic program, its simultaneous focus on preservation and access, and its location amidst a stunning natural landscape that inspired a generation of master photographers. Miller and Bunny Outcalt established a multimillion dollar photo supply distributorship in southern California before retiring in 1983. They moved to Carmel in 1990 to devote themselves to photography as an art form--establishing the Photo Workshop Group of the Carmel Foundation and nurturing Millers talents as an amateur photographer specializing in landscape and close-up abstracts. The couple focused on philanthropy, promoting the photographic arts throughout the major cultural institutions of the Monterey Bay Area. The new photo archivist position will help the library to process collections, inventory, catalog and index photographs, and prepare finding aids for the materials, as well as to appraise the physical condition of the collections and plan for preservation and conservation. The gift also ensures long-term accessibility for the public to enjoy the unique holdings at UCSC. 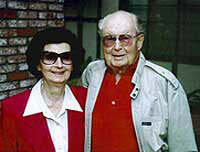 Miller died on November 16 and his wife, Bunny, died in January of 2003. As UCSCs McHenry Library is scheduled for a major renovation and expansion in the near future, there will soon be a new Bunny & Miller Outcalt Special Collections Reading Room as a tribute and honor in recognition of their gift.